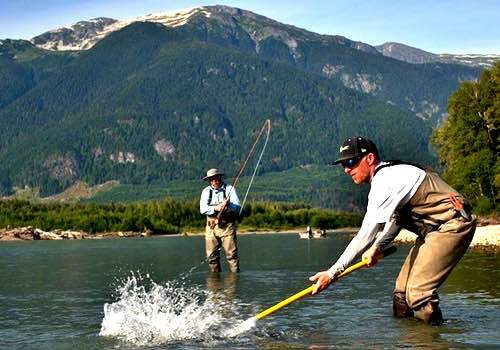 An all-inclusive Skeena River fishing lodge package to the wilds of northern British Columbia. These trips are very flexible, you can pick how many days you want to fish and we take care of the rest. 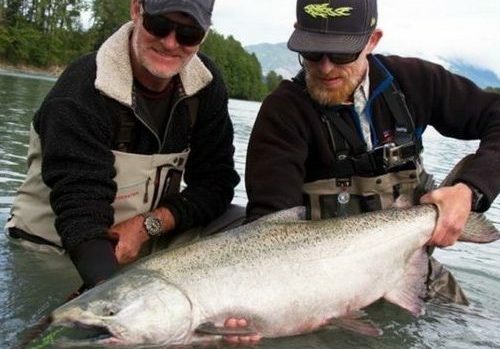 Fully guided and including private cabin accommodations and meals, this is an excellent trip for those wanting to experience Skeena River fishing for wild steelhead and salmon in BC. Easily our most popular BC steelhead trip. Contact us for availability and pricing. 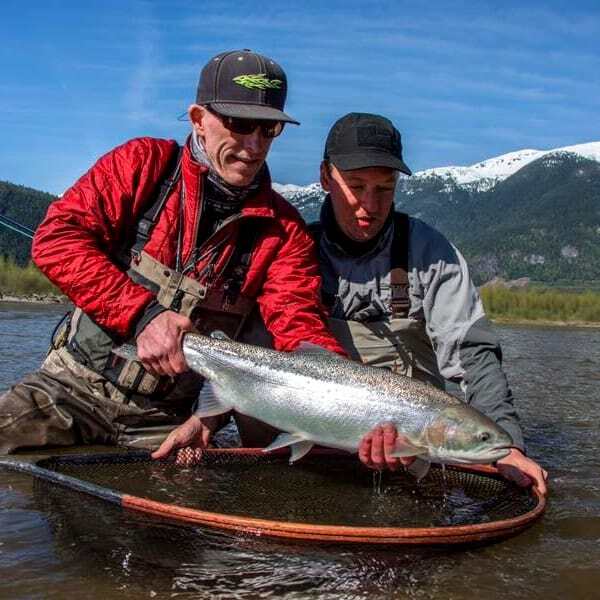 The Skeena River is the last stronghold of wild salmon and steelhead found anywhere in the world and our all-inclusive packages put you into the heart of this magnificent country. Swinging flies on the wide open Skeena River and it’s lower tributaries evokes wonder in even the most seasoned angler. 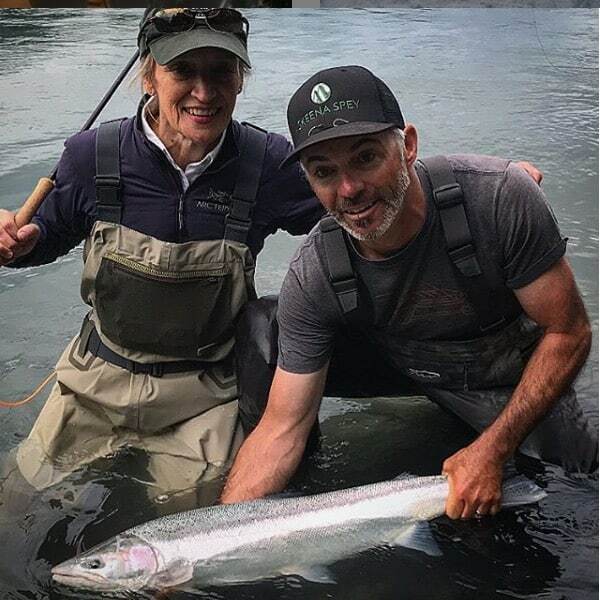 This is one of our most popular BC steelhead trips for good reason, its flexibility and Canadian Dollar pricing makes it an opportunity all anglers can enjoy. I’ll look forward to welcoming you to the wild Skeena River in BC this season, thanks for having a look at what we do. 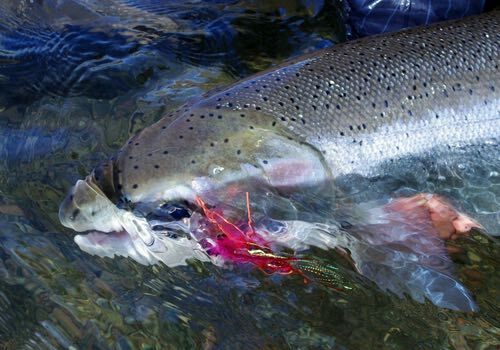 You’ve seen the word ‘flexible’ used to describe these packages, but that really is what sets them apart from anything else in regards to BC steelhead trips. You can pick exactly how many days you’d like to fish and how many nights you’d like to stay. No minimums and no set dates, makes this the easiest BC steelhead trip to come and enjoy. Curious how much a trip is, no problem just send us an email with your dates and group size and we’ll send you a quote. Most packages work best if you arrive in Terrace on an early afternoon flight from Vancouver. 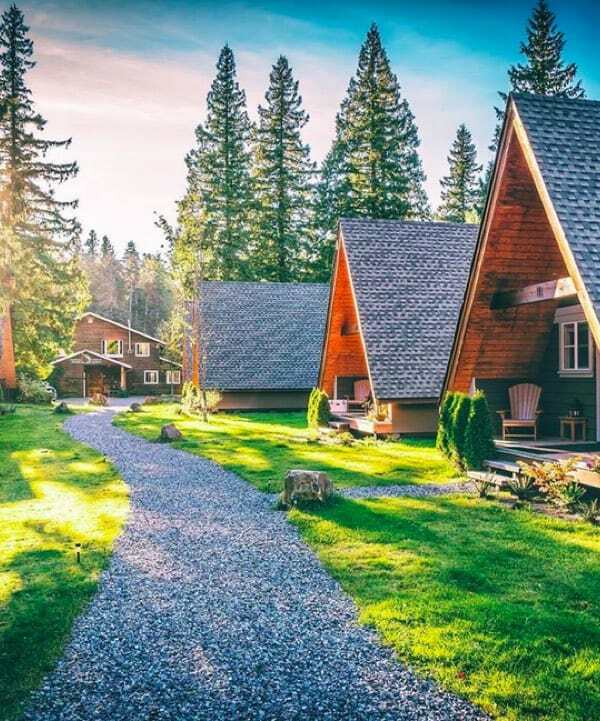 Lodge staff will pick you up, all ground transportation is included, and you’ll get to the lodge in time to get you gear set up and can even go for an afternoon fish on the home run, right at the lodge’s doorstep. 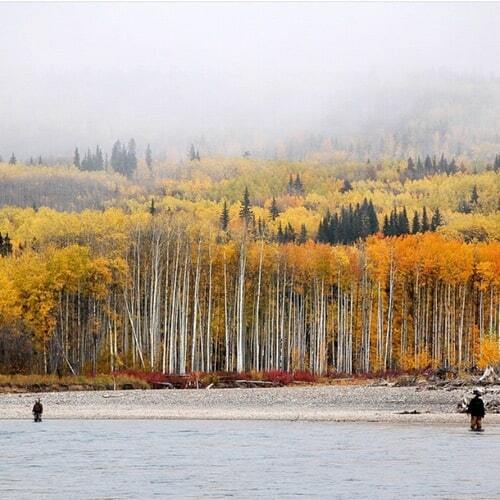 From there you’ll have as many days of guided fishing on the Skeena River and surrounding tributaries. This is a diverse program, giving you the opportunity to fish multiple rivers on your trip to British Columbia. Solo anglers are as welcome as larger groups. 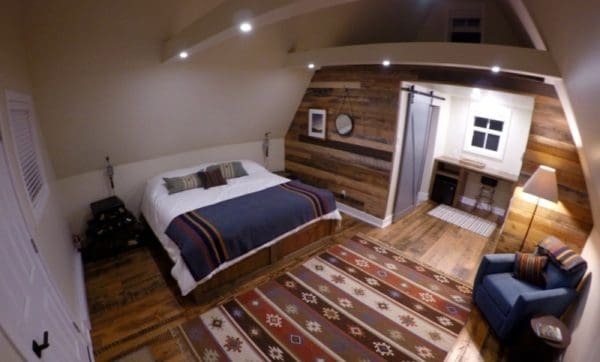 There are a variety of newly renovated riverside cabins, which can accommodate any size group. Solo anglers can be paired up with others for guided days to bring down costs. 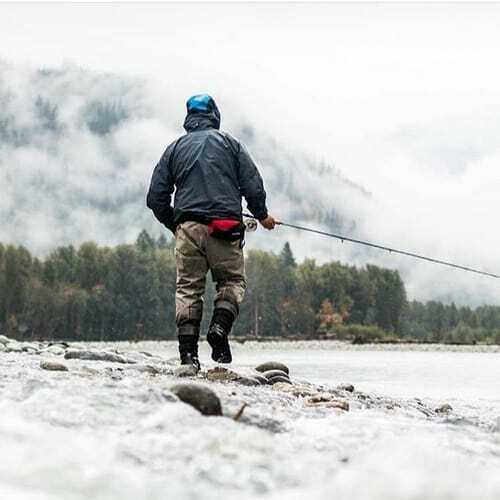 As the seasons change so does the fishing, the Skeena River offers the longest steelhead fishing season anywhere in BC, so you can plan a trip to best suit you. This is the most flexible steelhead program in British Columbia, pick and choose what you want to do and we’ll build a trip to fit your budget. Pricing below is per person in Canadian Dollars. Best to contact us for a detailed quote and availability. Price per person including meals. Fully guided day for one angler. 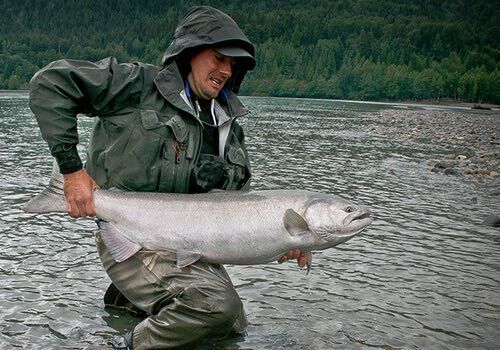 To get a quote on our Skeena River packages, please include your group size and number of days of fishing you'd like . And of course if you have questions, we're always happy to answer them, thank you! This is hands down one of our favourite trips and easily the trip we organize the most for our clients. The Skeena River and its many tributaries have so much to offer, with a long season starting in mid March and carrying through until mid November. This is a mecca for steelhead and salmon fishing like no where else in the world. 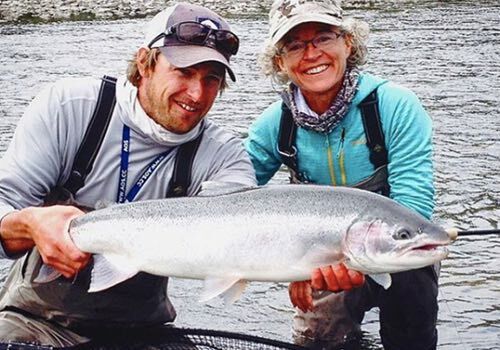 Some of our in house staff guides here full-time, most notably Justin Berry, who organizes many of our steelhead trips, has found a home running these Skeena River fishing packages. 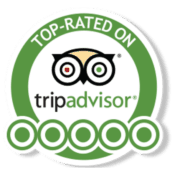 If you’re looking for an all round superb trip with great fishing and matching accommodations this one is without question the way to go. 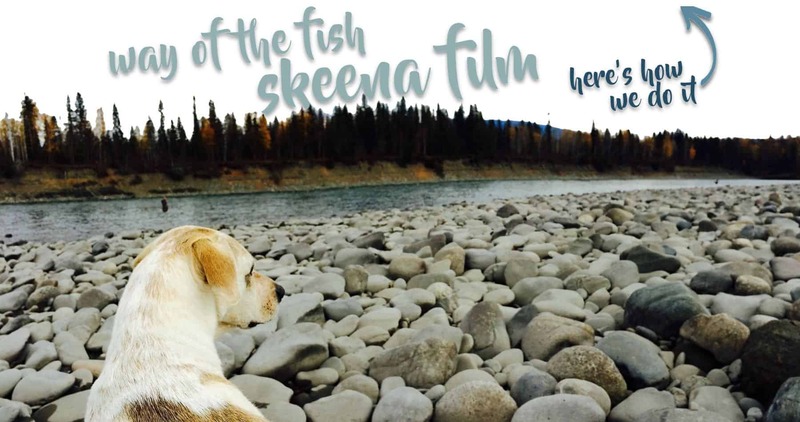 The Skeena River is the main drainage for northern British Columbia and one of the last strongholds for wild fish anywhere in the world. The Skeena and its tributaries are home to tens of a thousands or return steelhead and millions of returning salmon. 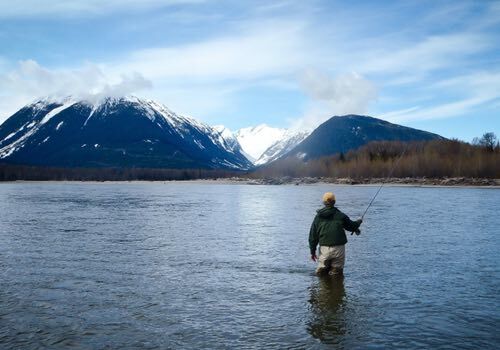 On our Skeena River fishing packages you will have the opportunity to fish a variety of rivers, depending on dates and conditions, which certainly is a popular feature of this package. If you want to focus your trip on summer-run steelhead plan on a trip starting anytime in mid August through to early November, this is prime time for Skeena steelhead fishing. 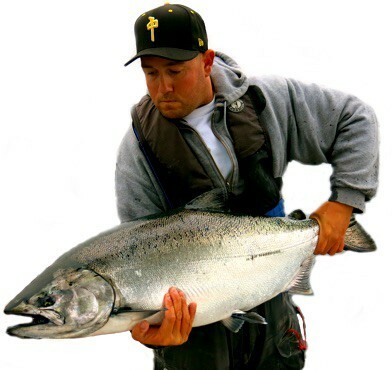 For chinook/king salmon you’ll want to plan a May to August trip. There’s also a Spring steelhead program on the Skeena, that runs from late March to early May, this can offer some incredible fishing. Regardless of your timing we can put you into some really cool fishing on the Skeena and her tributaries. Getting to the Skeena River is a breeze, with multiple flights daily from Vancouver to Terrace. 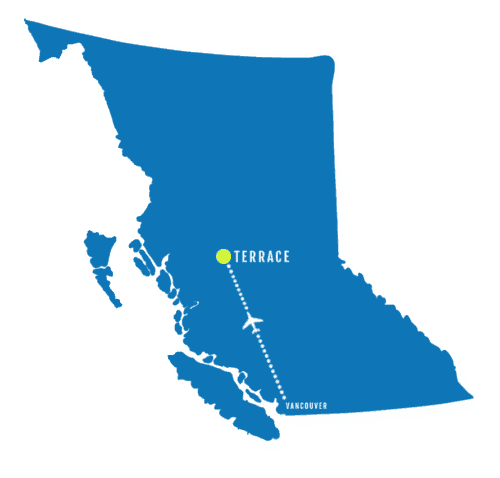 You can fly either WestJet Airlines or Air Canada directly from Vancouver International Airport (YVR) to Terrace. 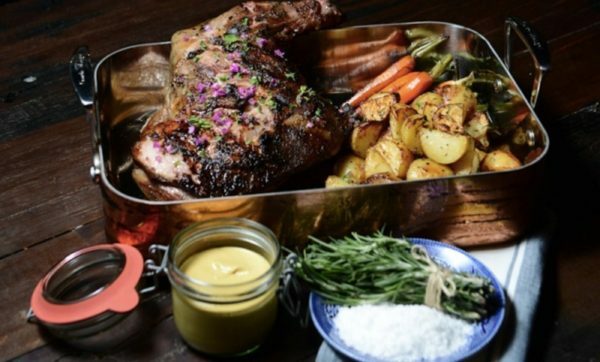 This makes for an easy connection either domestically or internationally. 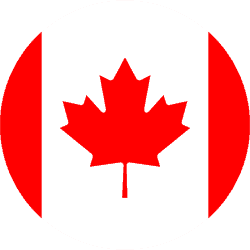 No shuttles or transfers and if you need an overnight in Vancouver there is the Vancouver Fairmont Airport Hotel, right in the international terminal, it couldn’t be easier. Upon arrival in Terrace you’ll be picked up at the airport by a lodge representative. A 15 minute drive to the lodge will put you on the banks of the Skeena River and into the heart of some of the wildest rugged country in BC. For more information on getting exact travel plans use any of the contact forms on this page to get a hold of us. 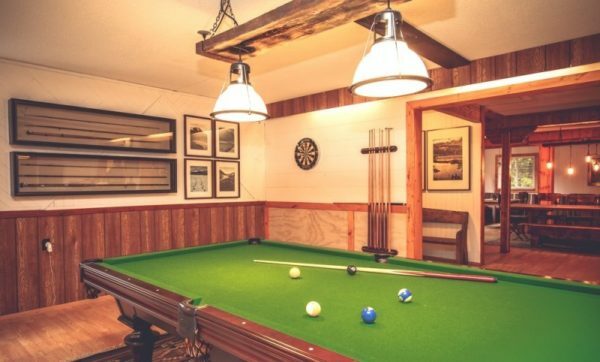 Our Skeena river fishing packages will have you enjoying the hospitality and amenities of Skeena Spey Lodge, one of the few lodges in Terrace located within steps of the Skeena River. Some of the jetboats are right at the front door, no driving to the river at this location, just wake up and wade out! Upon arrival you’ll be picked up at the Terrace airport, so no worries about traveling to Northern BC. 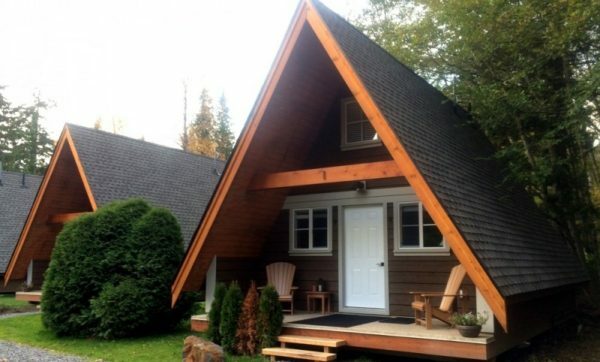 The lodge is conveniently located about 20 minutes from the Terrace Airport, so in less than two hours form Vancouver, you’ll be checking in to the comforts of Skeena Spey. 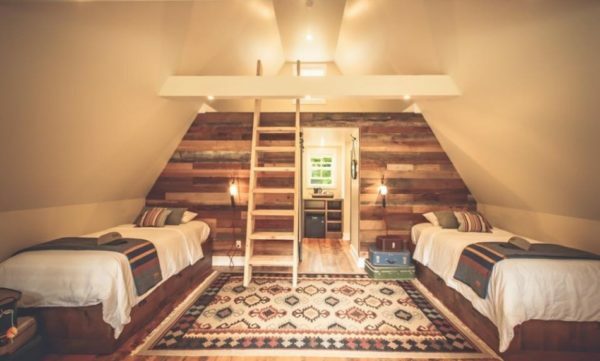 Guests enjoy cozy A-frame chalet cabins with private baths, so no sharing, and the lodge limits its capacity to only twelve guests per week, making for a warm atmosphere among friends. 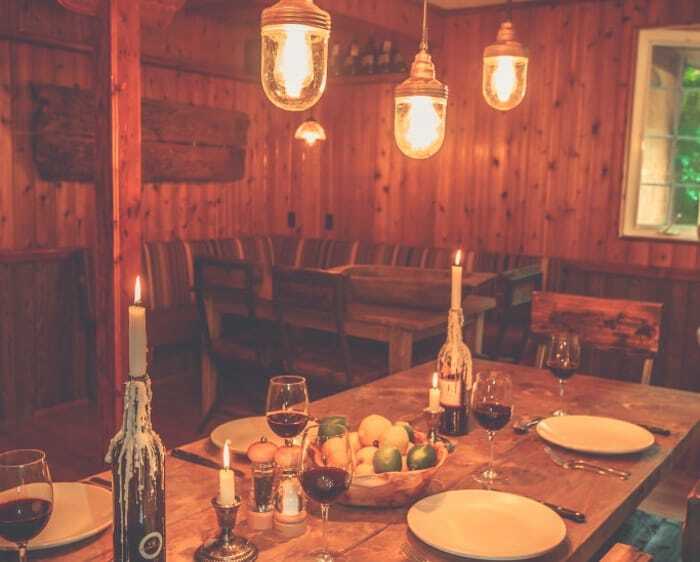 Delicious food, warm hospitality, private rooms and great fishing combine perfectly to make this a perfect package. Got specific questions about the lodge, please contact us, we’re happy to answer any questions you have. We specifically haven’t included pricing because pricing varies depending on how many days of fishing, how many nights accommodations, if you’d like a shared cabin or a shared guide, etc. 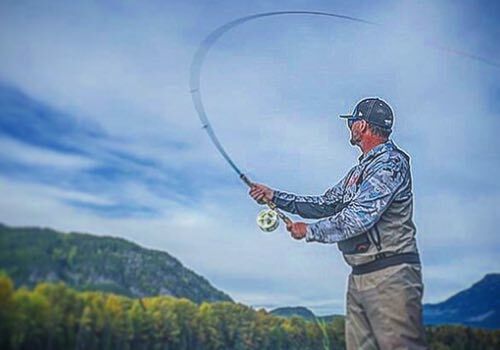 Best to drop us a note and we’ll send you a detailed Skeena River fishing package quote, so you can get a trip that fits your budget and timing! 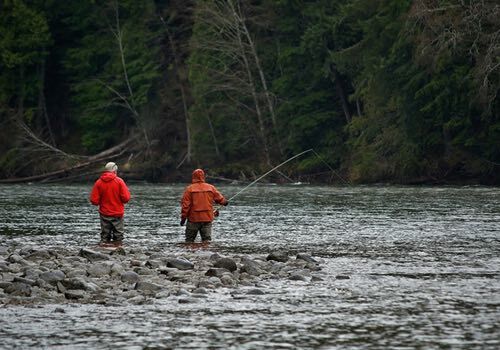 Solo anglers are welcome, as there are amenities to facilitate solo anglers who are looking for a steelhead trip but don’t want to pay double occupancy fees. Space is limited each season, please contact us for seasonal availability. For more information on Skeena River packages or for up-to-date seasonal availability please contact us via email, or call toll-free 1-877-902-3393. 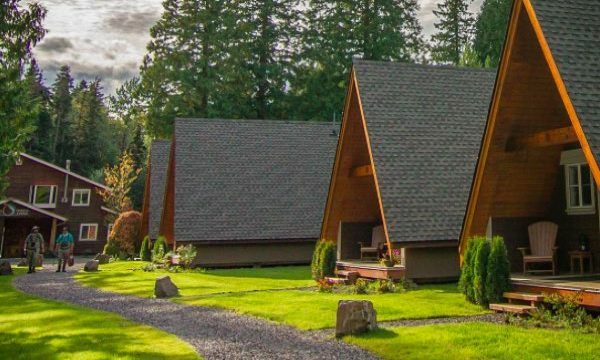 Check out all the great BC steelhead lodges and camps we offer trips to here. 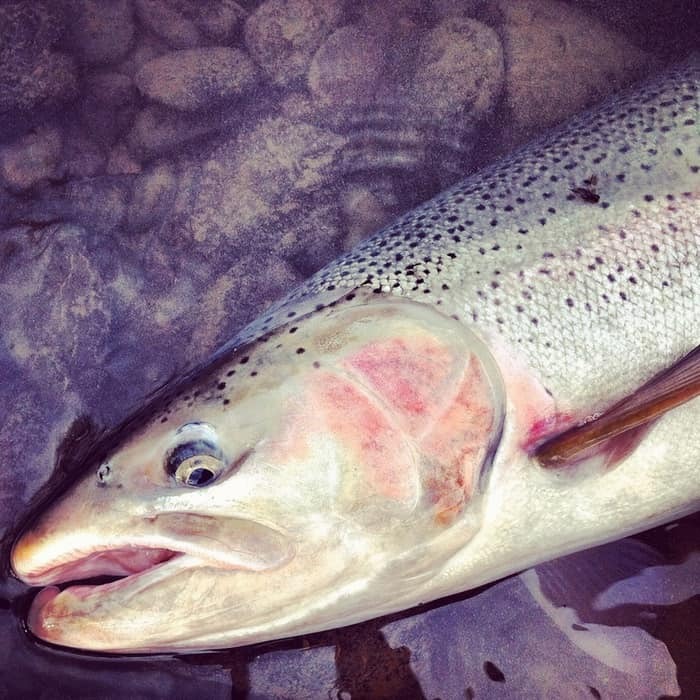 Another great BC steelhead option, flexible packages on the Bulkley River. Getting started planning a Skeena Steelhead trip is easy, simply fill out our online contact form or shoot us an email or call our office toll-free 1-877-902-3393. We’ll get back to you right away with seasonal availability and specific pricing. We look forward to earning your business, thank you.